I liked this book. It wasn't difficult to listen to mainly because of the narrarator. He was funny and the writer never made it boring. It's a true journey for happiness. The thing I liked most is that he traveled to the place where people were more unhappy and actually made the most out of it. He looked at life from every angle and appreciates the little things in life. I would definitely recommend this to anyone that enjoys books about travel. I so enjoyed this book. He had me laughing outloud at times and quietly contemplative at other times. 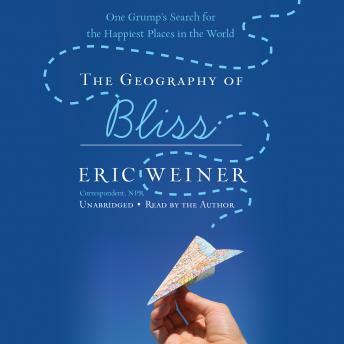 The book came at a perfect time for me - with the down economy it was a reminder of what happiness truly is - can be - should be - might have been and how different happiness looks to other peope (culture, personality, etc). Five stars for this one - and a book I have been recommending to all my friends. This book is too wordy, but has some interesting parts about different places around the world.